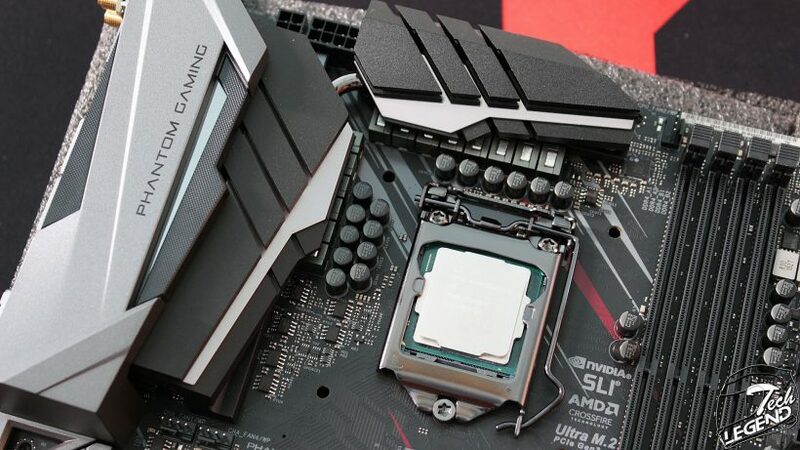 The Z390 Phantom Gaming 9 shares certain design elements with the Z390 Taichi motherboard, starting with the heatsinks and the plastic shrouds that cover the I/O shield and audio system. 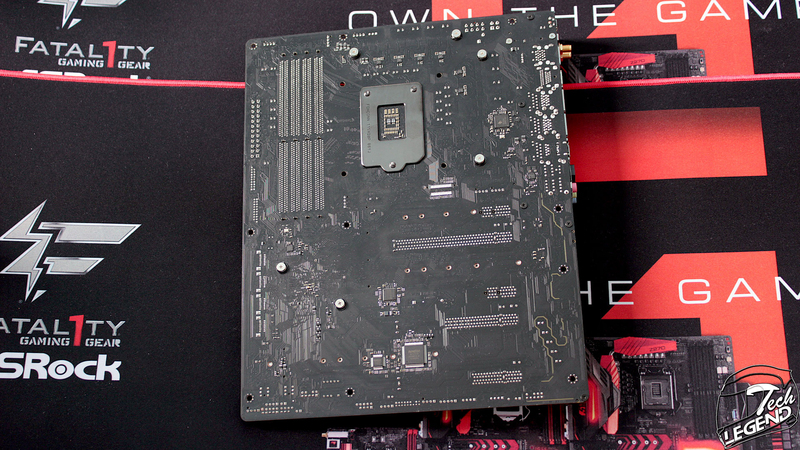 The design of the board uses the three main colors of the Phantom Gaming line, black, gray and dark red, these are printed on the PCB directly. 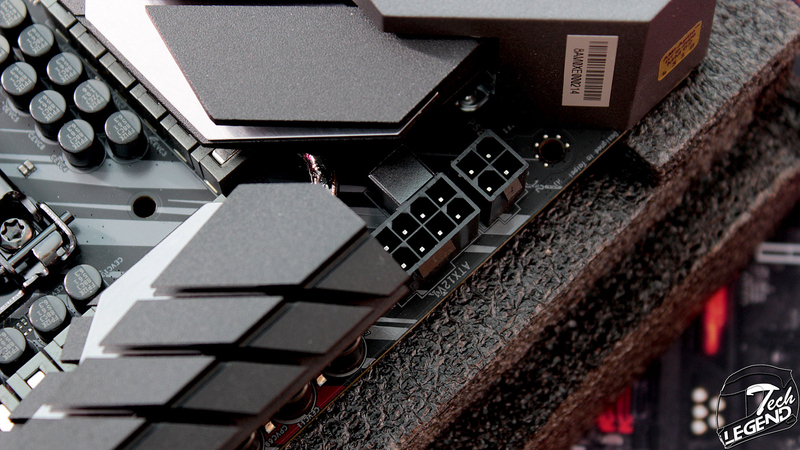 The Z390 Phantom Gaming 9 uses a 10 + 2 + 1 + 1 power delivery system. 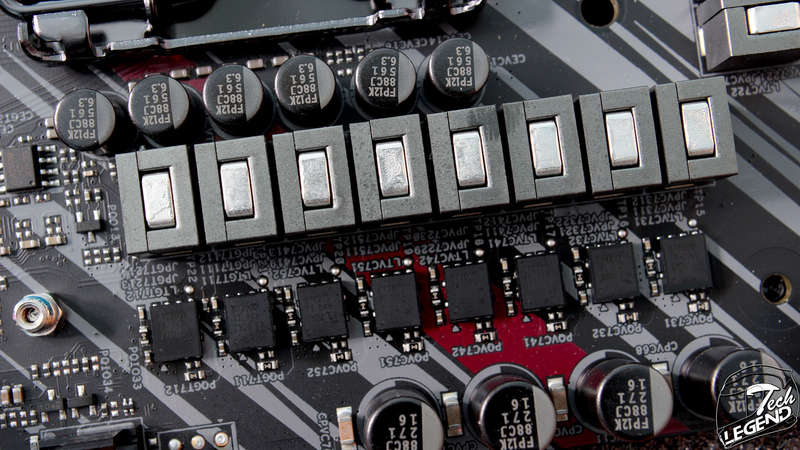 The VRM itself is composed out of Texas Instruments 87350D NextFETs alongside Nichicon FP 12K Series capacitors. The 10 phases for Vcore is done using an IR35201 digital multi-phase controller that has its phases multiplied by five IR3598 phase doublers. Sinopower SM7341EH MOSFETs are used for the secondary phases on one rail, these are used for the VCCSA for the VCCIO. The controllers for these phases are made by Anpec and are model number APW8720B. The memory power delivery system has a 2 phase configuration that is managed by the uPI Semi. uP1674P PWM controller. The VRM used in this configuration is composed out of SM7341EH and SM4337 MOSFETs manufactured by Sinopower. 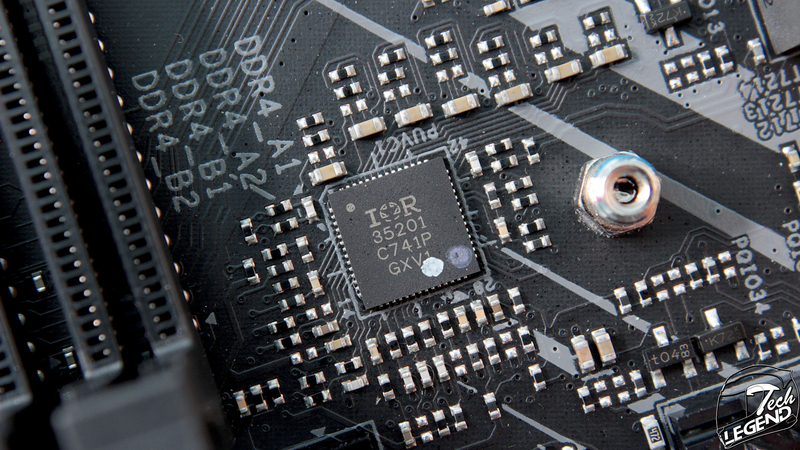 The CPU power is delivered through a dual connector configuration composed out of a single 8 Pin and a single 4 Pin. 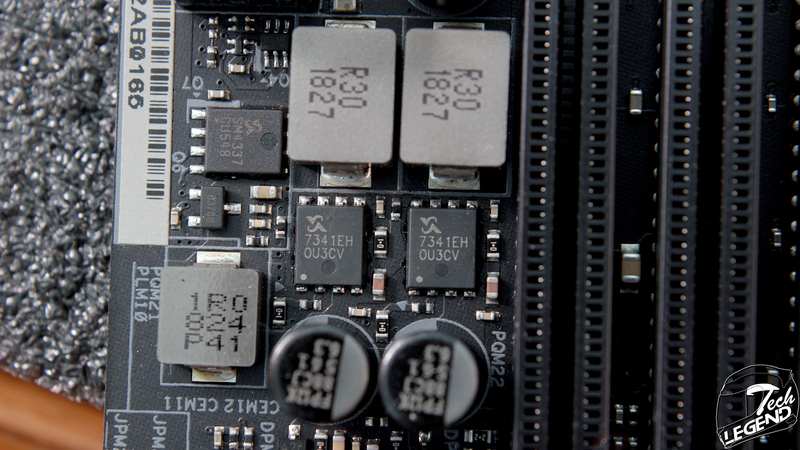 In regular usage the 8 Pin connector is sufficient for all compatible CPUs. 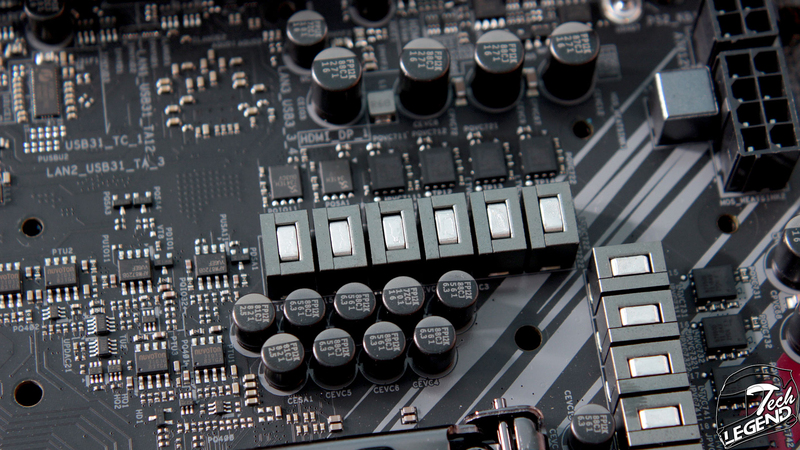 The extra 4 Pin connector is for extreme overclocking usage, where voltage and voltage stability is required to increase the frequency and performance. 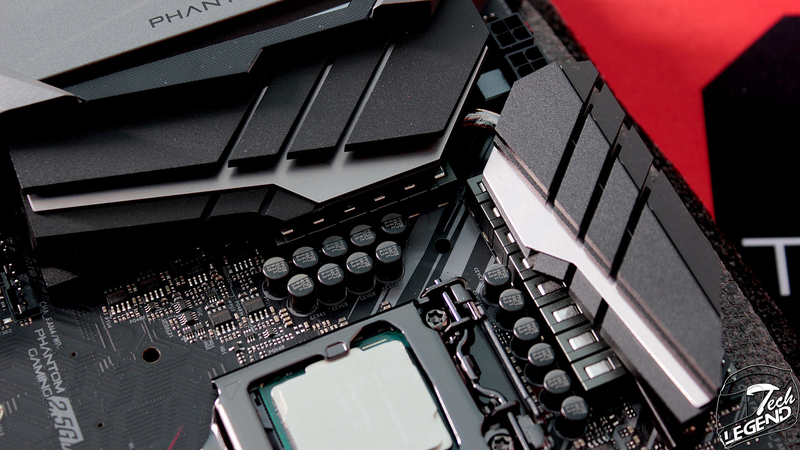 The cooling of the VRM system is achieved by two all-aluminum heatsinks that are connected through a single nickel-plated copper heatpipe. These heatsinks are shaped to offer not only a good aesthetic design but also feature fins carved on the top surface to benefit from the airflow inside the system. 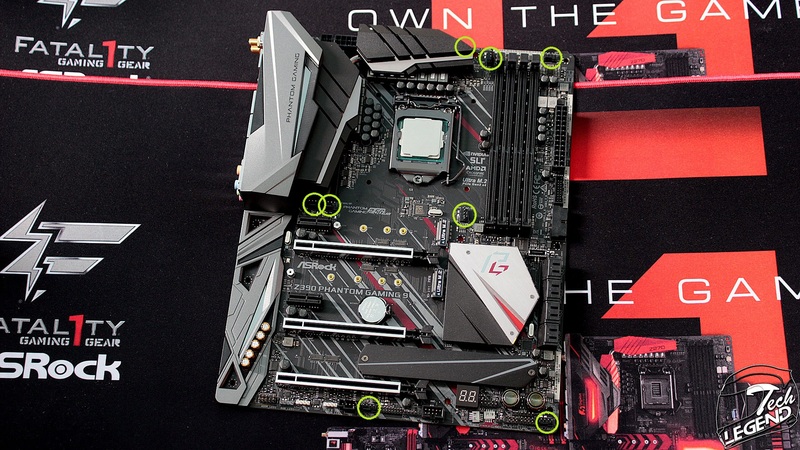 The motherboard features 8 (eight) 4-pin Molex connectors, the first two are placed above the RAM slots at the top of the motherboard. 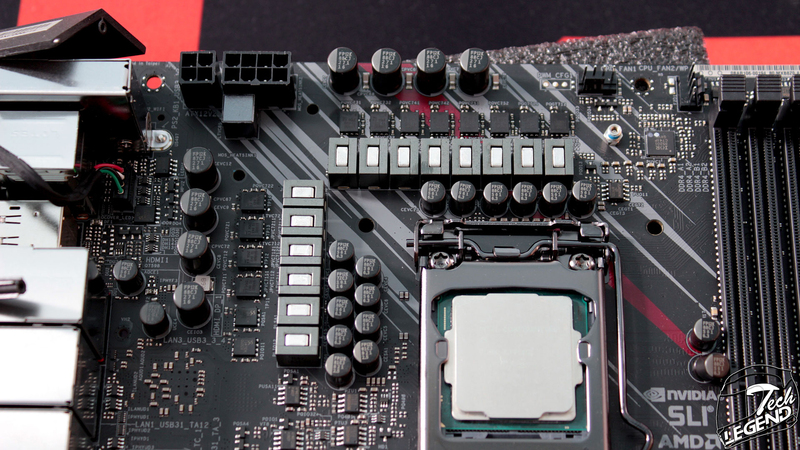 Three more connectors are positioned under the CPU socket area, two of them are bundled together under the VRM heatsink while the third is placed on the lower side of the DIMM slots. 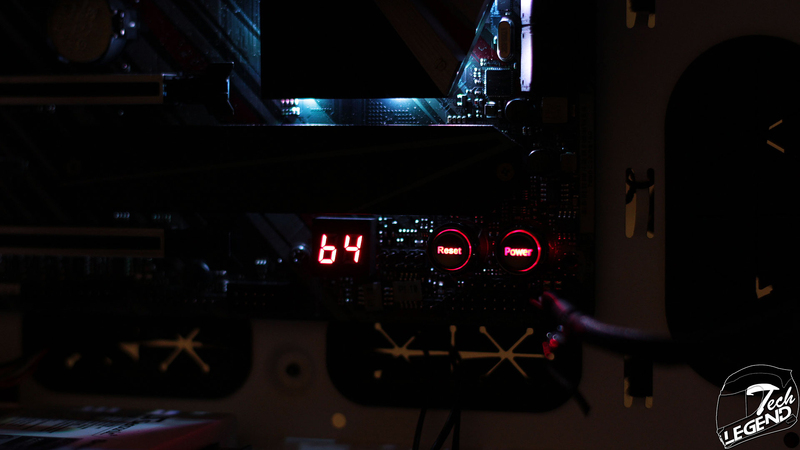 The remaining two connectors are placed on the lower edge of the motherboard under the Power and Reset buttons and in between the USB headers. 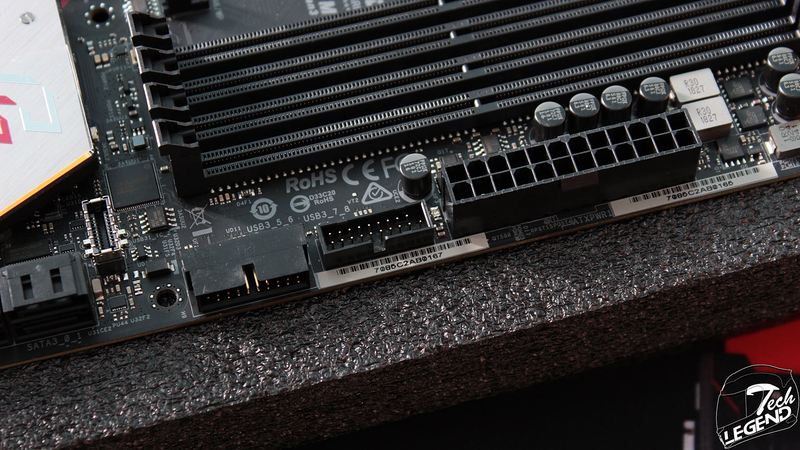 The right side features four memory DIMM slots supporting a maximum of 64GB of DDR4 RAM. 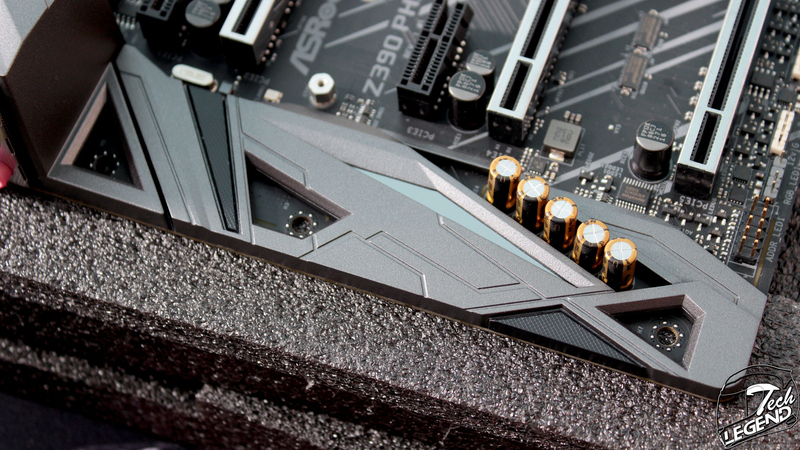 The rated speeds available are starting at 2133MHz and goes up to DDR4 4266+ (OC). 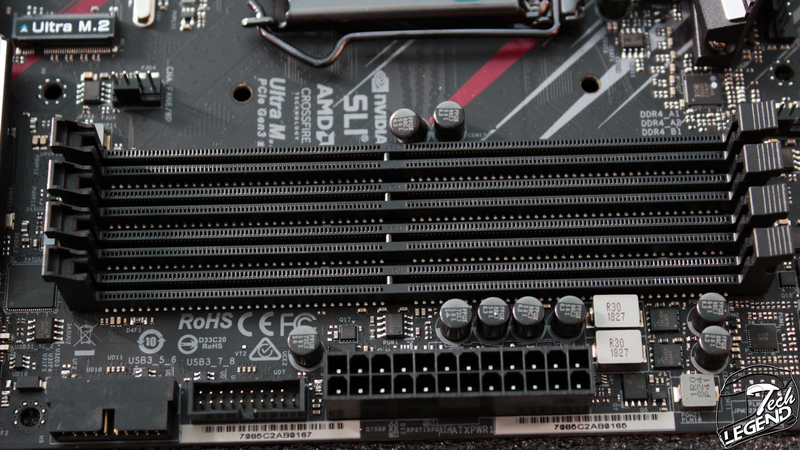 Next to the DIMM slots there is are two USB 3.0 headers alongside the 24Pin Power cable slot. One of the USB 3.0 headers is angled horizontally to allow for an easier connection, while the other connector is placed in the regular vertical position. 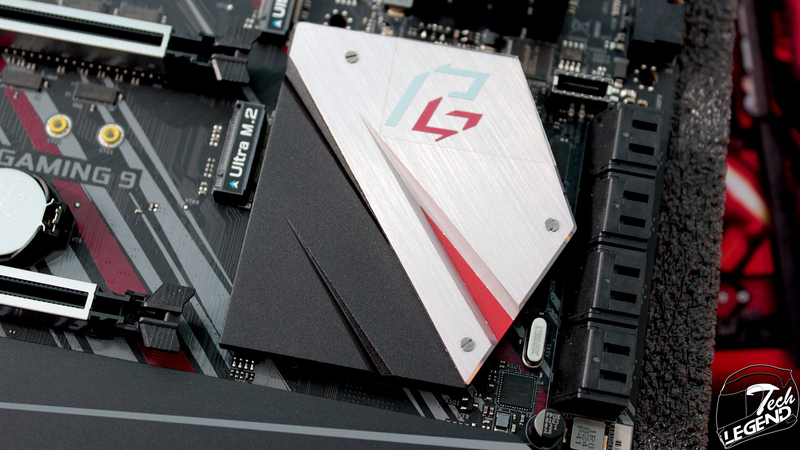 The motherboard is equipped with three PCIe 3.0 x16 slots, all of them are reinforced with aluminum. 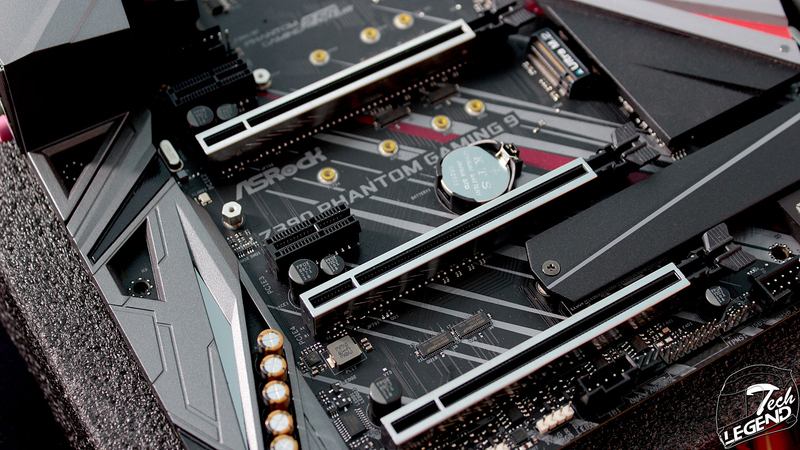 In addition, the motherboard also offers two PCI Express 3.0 x1 slots. 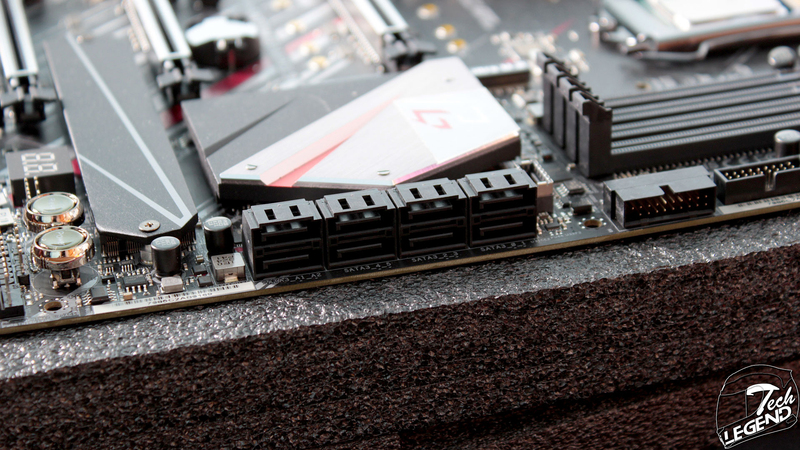 The motherboard features three SATA Ultra M.2 Sockets. 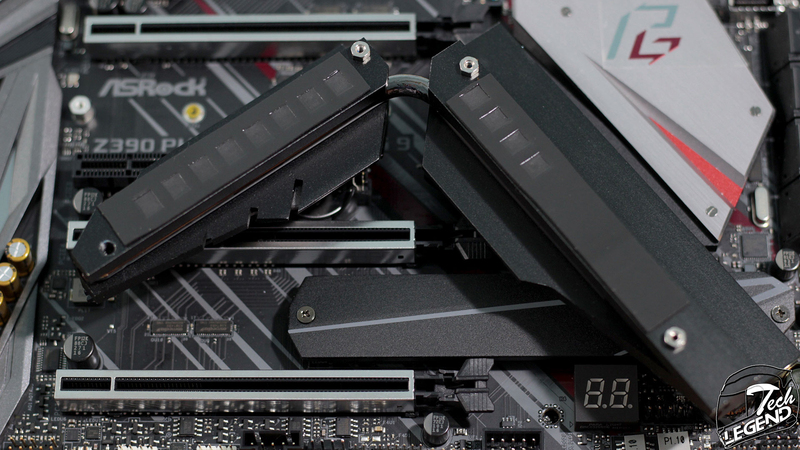 The first two are placed above and below the first top PCIe 3.0 x16 slot while the third and last socket is placed under the Chipset heatsink. 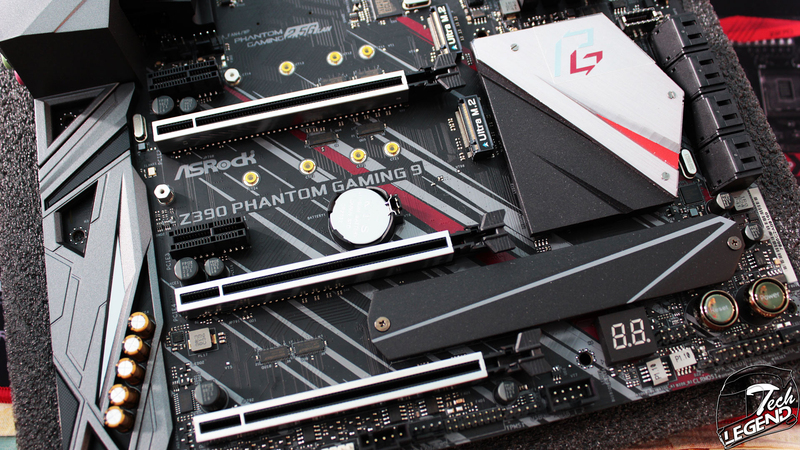 The last socket is also equipped with a dedicated metallic heatsink for the M.2 SSD. 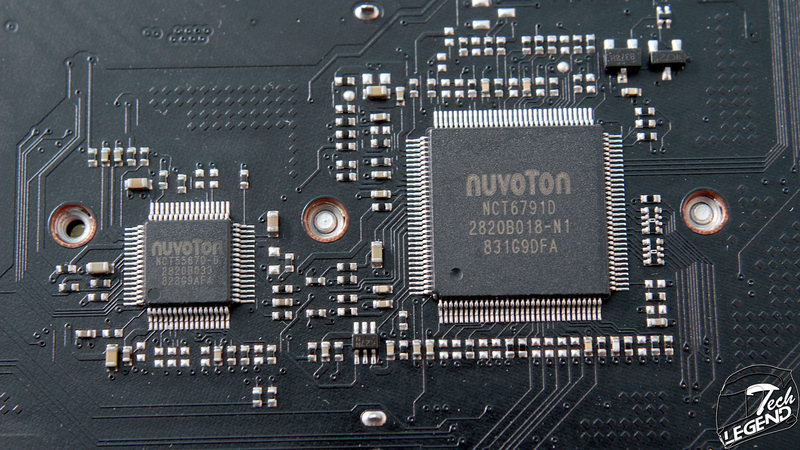 Placed on the back of the motherboard we have the NuvuTon NTC6791D and NuvuTon NCT5567D-B chips alongside the Realtek RTL8125AG gaming-optimized LAN chip. 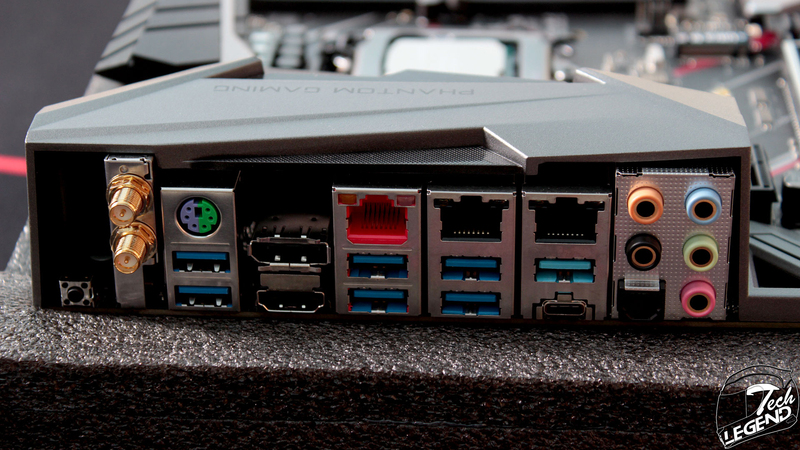 The audio system uses a similar configuration as the rest of the ASRock motherboards. 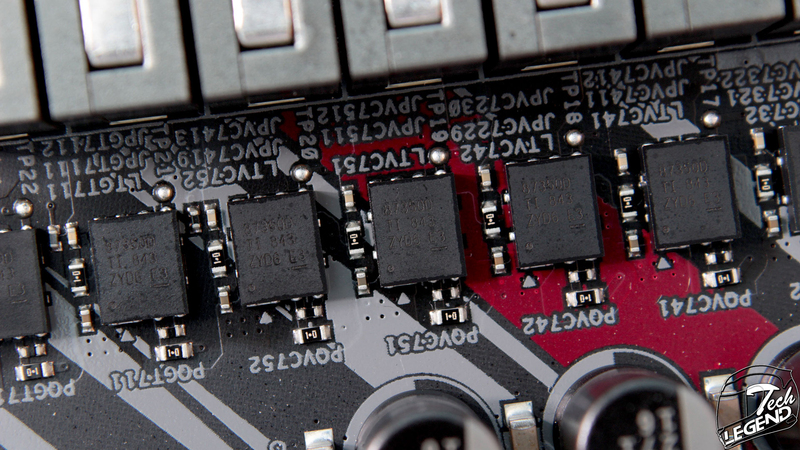 The Realtek ALC1220 chip is coupled with five Nichicon electrolytic audio capacitors that are part of the Fine Gold series. 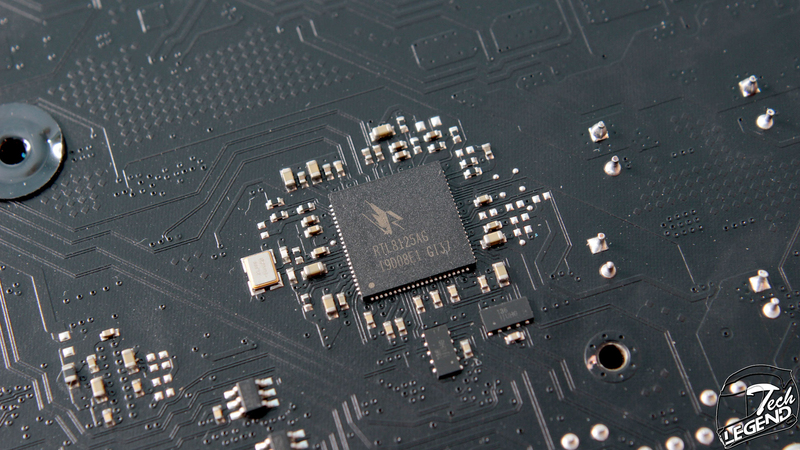 As per norm, the audio system is isolated from the rest of the PCB to reduce interference. 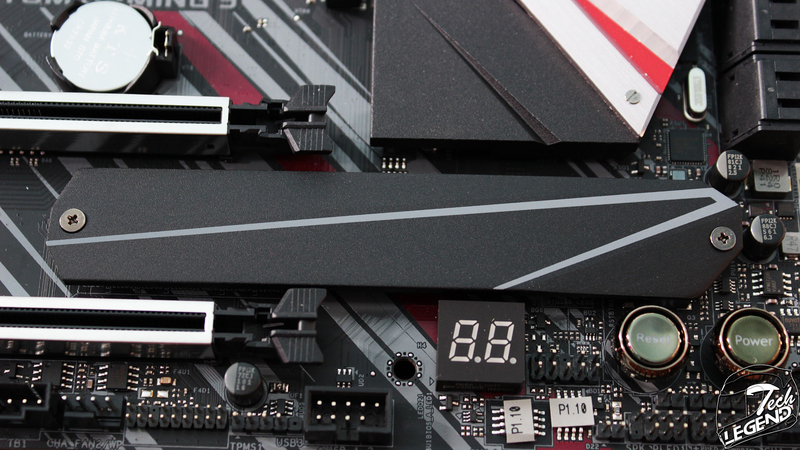 The Z390 Phantom Gaming 9 is equipped with six SATA3 6.0 Gb/s Connectors these support the following RAID configurations: RAID 0, RAID 1, RAID 5, RAID 10. 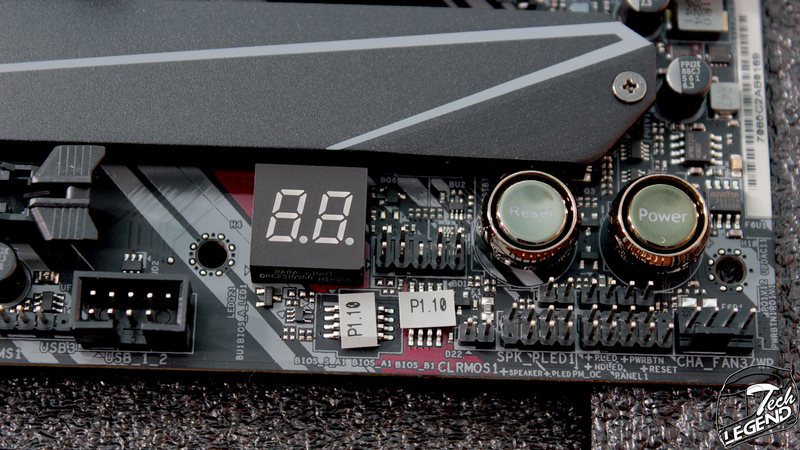 The extra two SATA3 6.0 Gb/s Connectors are controlled by an ASMedia controller. The SATA connectors are sharing the bandwidth with the SATA M.2 drives. 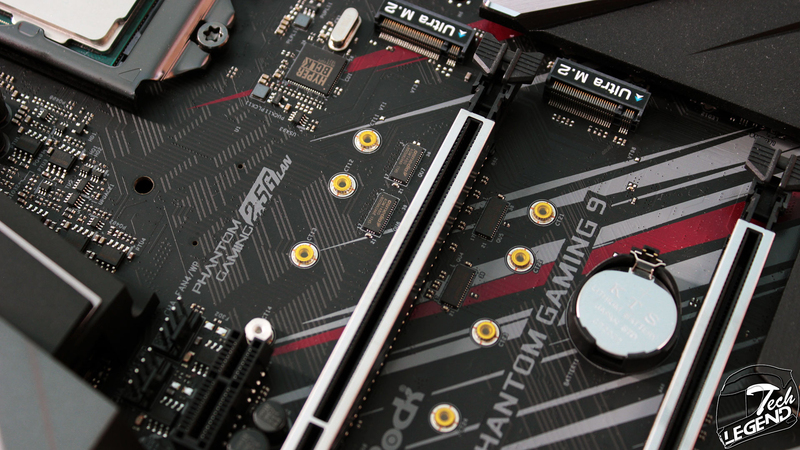 The motherboard features on-board Power & Reset buttons placed on the lower right corner under the SATA M.2 socket. In addition, to the left of the buttons we have the on-board two-digit display, this can offer either error codes or the real time temperature of the CPU.